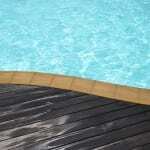 Home > Pool Products Blog > Who Can You Trust for Reliable Swimming Pool Repair? When you own a swimming pool, you know that at some point you will encounter a need for a swimming pool repair. Swimming pool repairs and maintenance are just as much a part of owning a pool as repairs and maintenance are for owning your car. Just like you want a trustworthy mechanic taking care of your car, you also want someone trustworthy and capable taking care of your swimming pool. Reliability- Swimming pool repair professionals need to be reliable and trustworthy for you to give them your service. Without the feature of reliability, you could end up wasting hours of your precious time waiting for someone to show up. Experience- If you are going through swimming pool repair professionals, it’s helpful to find out how much experience they have. With years of experience come efficiency, better results, faster diagnoses of the issues, and more sure solutions. Versatility- Along with experience comes the ability to fix a variety of different parts of your swimming pool, hot tub, or other water features on your property. An experienced swimming pool repair professional can take care of many different types and ages of swimming pools with equal care and precision. If you are looking for someone you can trust to care for your swimming pool repairs, we invite you to check out our team of experts here at S & H Pools. With nearly four decades in business, we are able to help you with any swimming pool repair that you might need in a time-efficient manner.